$150 + shipping. 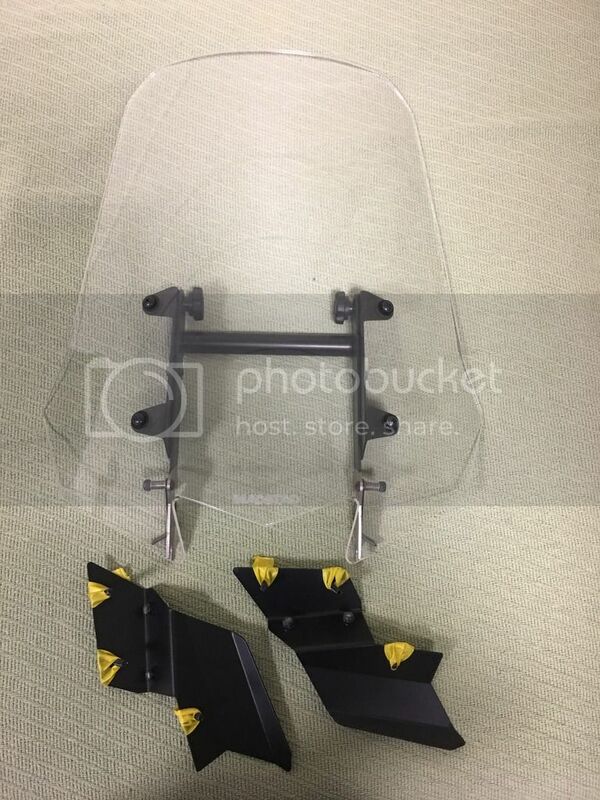 I have a MadStad windscreen setup for sale, all parts, nothing missing (the screws are taped in place so as not to lose them). It is the clear 22” tall screen. Normal excellent condition, no scratches. I don’t tour on my 10 anymore and I simply cannot use it as I am removing the entire front fairing structure and making a track style streetfighter front plate on my 10. Pm if interested and I will give contact info. You need a picture of the product for sale as per forum rules... I'd post one before the mods shut the thread down. GLWS!